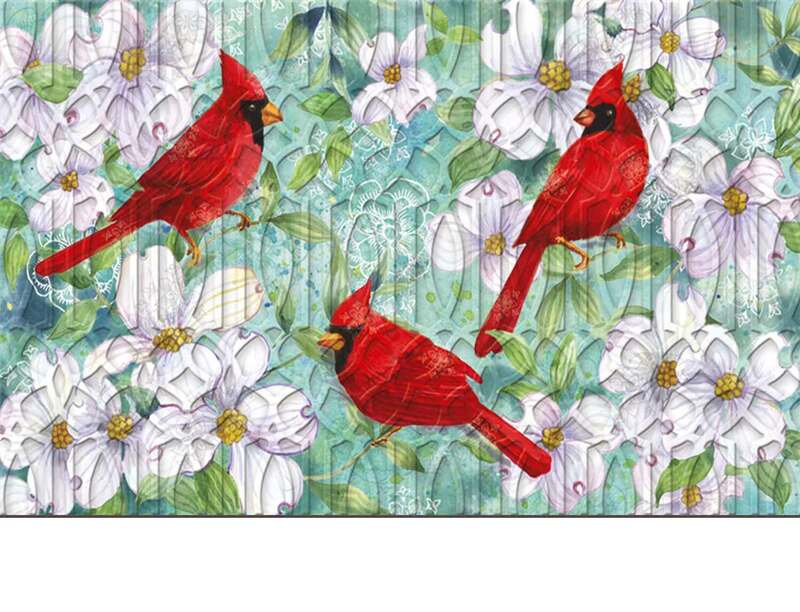 Do you want something new and completely unique to dress up your doorstep for the upcoming spring season? 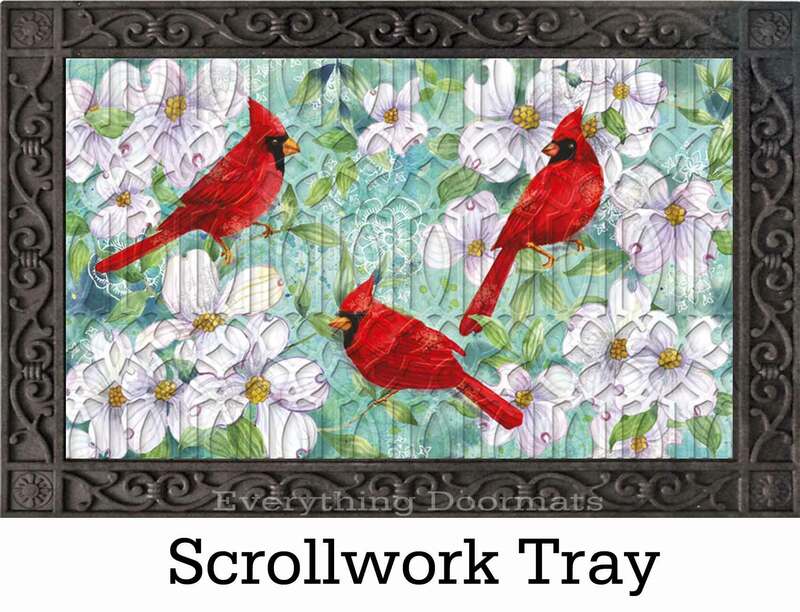 Then check out this trellis embossed Cardinals & Dogwood dimensions doormat! 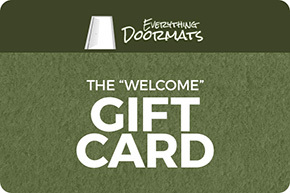 This mat is one of a great new line of doormats that will revolutionize the insert and decorative mat industry. 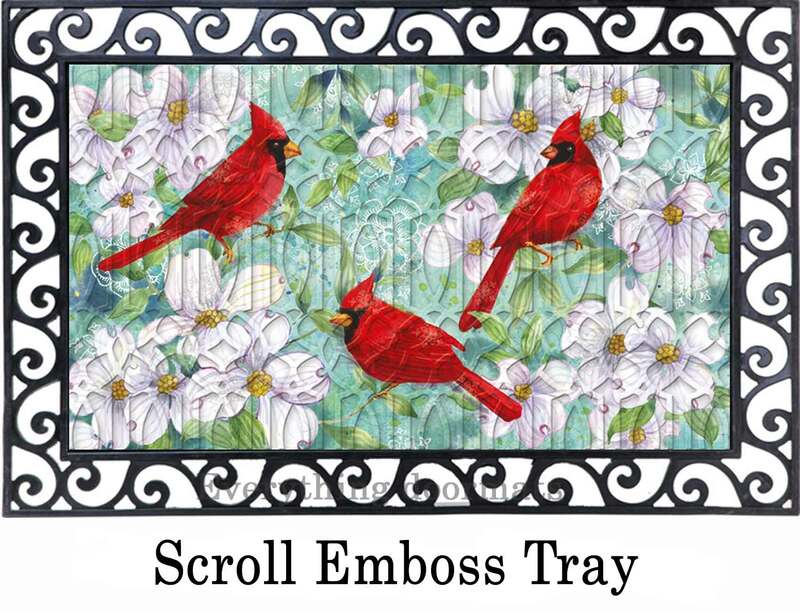 This Cardinals & Dogwood embossed dimensions doormat is 18.25" x 30.25" x 1/4" thick when used as a stand-alone mat. 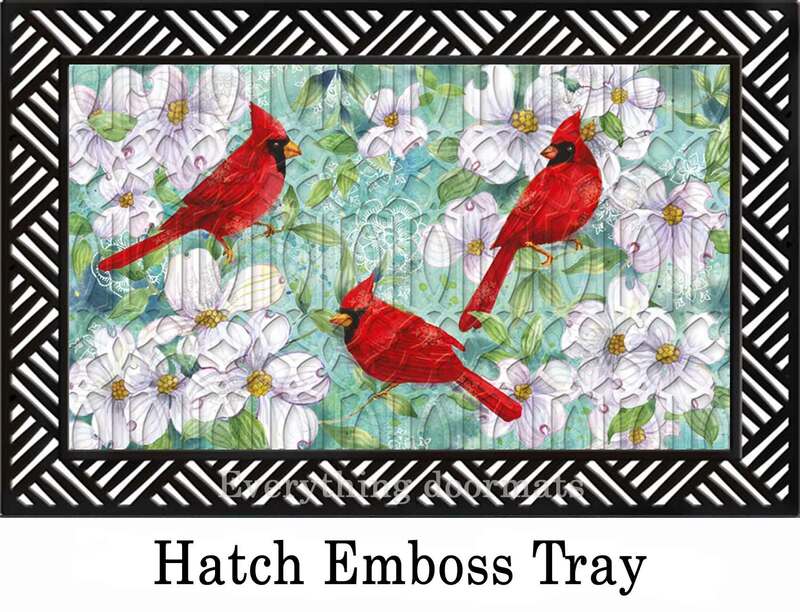 When paired with the outdoor tray it is 24" x 36" x 3/8".